VDB 155/LBN 524 is a reflection nebula in Cepheus just southwest of the far more famous Cave Nebula. It’s about 2700 light years away. The Cave Nebula periphery can be seen at the top of this image. This object mixes a reflection nebula (the blue area) with the reddish emission nebula. 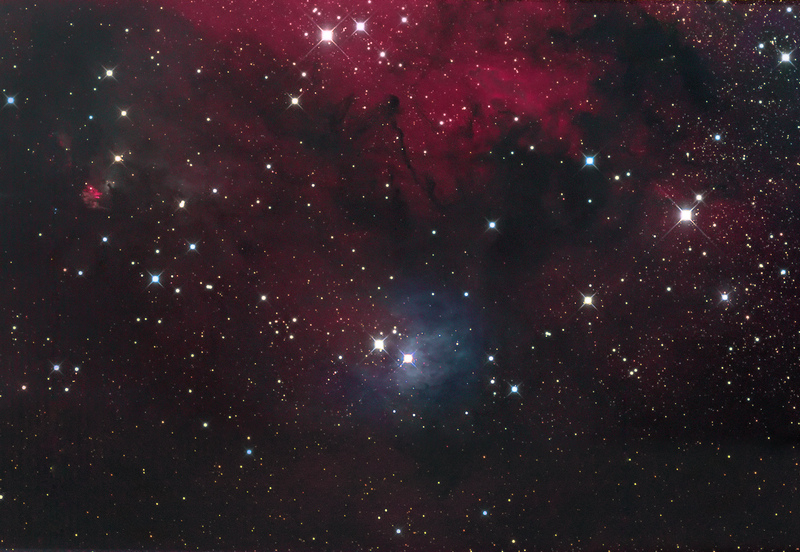 The red areas are really part of SH2-155. This area is filled with dust which can be seen throughout the image. This photo was taken October 22-29, 2014, and totals 9 hours of exposure. Click for a larger view.